During HTSC 2018, Ignite Sweden conducted over 60 matchmaking meetings between major companies and innovative startups. 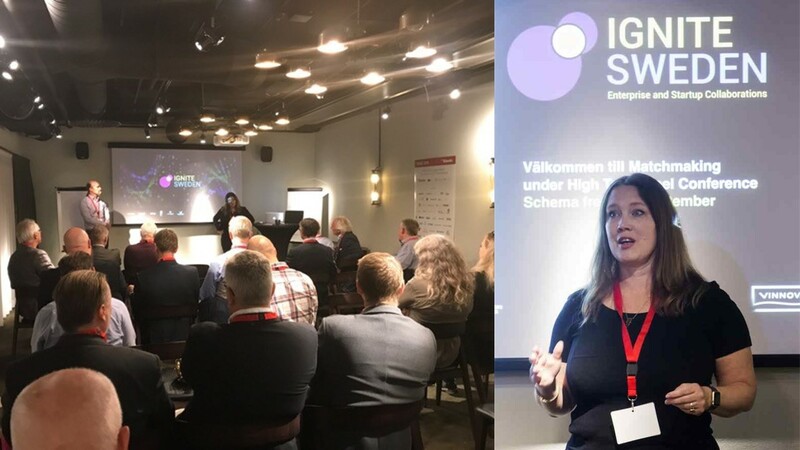 The startup companies that traveled to Västerås from all over Sweden presented innovation in grafics, additive manufacturing, robotics, digitisation and automation. "Attending Ignite is an extremely effective way for us to discover new innovation early on. We have been involved since the start and now have several strategic development projects together with Startups, says Peter Löfgren, Synerleap powered by ABB. Alfa Laval is another major company looking for collaboration with startups through Ignite. Anders Nyander, project manager for new concepts, shared his experiences on stage. - We are looking for collaborations with startups for several reasons. They have solutions that we have not come across, which complement our products and strengthen our production efficiency. What's important to remember is that a startup would rather have a first real customer than an investment. Therefore, our strategy is just to become a customer of the startup companies. And we are a good customer, because we are the big one in the cooperation.